Of the many beautiful Canberra shirazes produced in 2015, nothing equalled Clonakilla Shiraz Viognier. But the coming release of Clonakilla Syrah 2015 on 27 April, throws down a mighty challenge to the district’s world-renowned benchmark. Tim Kirk, son of Clonakilla founder John Kirk, made the first Syrah in 2006 as an alternative style to the shiraz–viognier blend. Made from Tim and Lara Kirk’s T and L vineyard, planted in 1999, the new shiraz-only wine, says Kirk, “… is the Hermitage to the Shiraz–Viognier’s Cote-Rotie”. A 1991 visit to Rhone Valley Cote-Rotie producer Marcel Guigal inspired Kirk’s Shiraz–Viognier blend. But his Syrah’s salute to nearby Hermitage says more about shiraz (under the variety’s French name) as a solo act than it does about that region’s style. Indeed, a wine of this calibre requires no such comparison. From the first vintage in 2006, critics and a comparatively small number of consumers compared it favourably with the flagship Shiraz–Viognier. However, the perfect 2015 vintage, together with a maturing vines and a decade of constant tweaks in the vineyard and winery, produced a wine of even greater dimension than the early vintages. Tasted from barrel in September last year, the unfinished Syrah showed its characteristic ripe-berry and spice flavours and silky smooth tannins. At that stage it was all fruit, and simply irresistible. Then in October 2016, the 2013 Syrah achieved the seemingly impossible by upstaging the 2015 Shiraz–Viognier at Ben Willis’s Aubergine Restaurant. When the now-bottled 2015 sample arrived in February 2017, the question was whether it could equal the impressive 2013 (there was no 2014). Well, it did, and will probably surpass it with time. 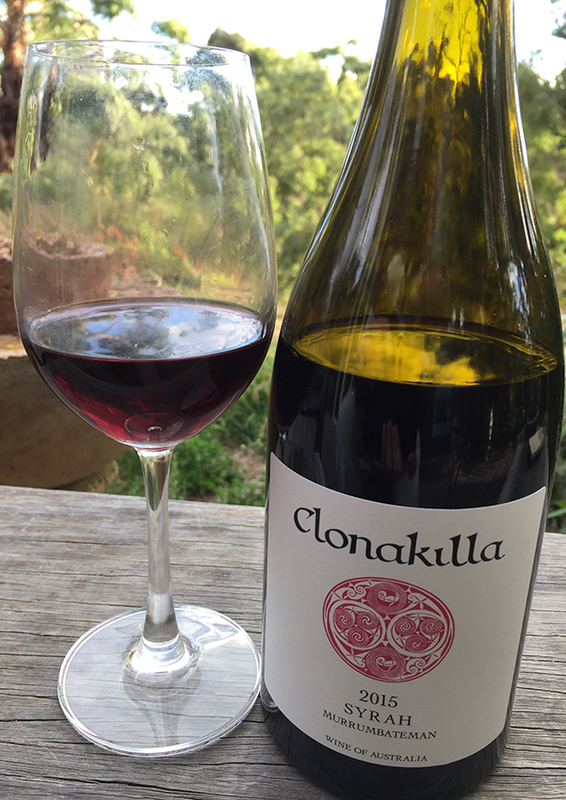 Just as it did in the barrel tasting, the bottled 2015 leapt from the glass, all perfume and fruit – in Canberra’s distinctive ripe-berry and spice style, with Clonakilla’s great flavour concentration and silky, slippery texture. Tasted over three days, deeper, more savoury flavours emerged, suggesting a wine destined to grow in dimension over time. Given the comparative youth of the vines and ongoing tweaks in the winery, Tim Kirk believes the best is yet to come. It’s hard to imagine a more harmonious, beautiful shiraz. But if there’s better to come, let’s all hope for a long life.